Biotherapeutic Drainage is the therapeutic use of homeopathics, botanicals or trace minerals to facilitate the elimination of toxins out of the body. One explanation as to why we get sick is associated with the notion of “toxicity,” the build-up of chemicals in the body. But where are these toxins coming from? On a daily basis, as most people are aware of, each of us is exposed to any number of potentially harmful substances such as synthetic chemicals in the environment and food, all of which the body, especially the liver, must properly handle. Poor nutritional habits, lack of sufficient water intake, stress and other emotions can contribute to toxicity in the body if not properly eliminated. Degeneration of normal bodily functions is more likely when we take in or are exposed to chemical products that are not recognizable by our cell’s physiology. Since they are not naturally occurring substances, the body often cannot break down these toxins to prepare for elimination. Acute illness (sudden and severe illness) is, in some cases, a sign of vitality. If the body is vital enough to eliminate, then the drainage of the toxicity will appear as symptoms or an acute illness. A chronic illness, on the other hand, indicates an ongoing overload of toxicity and a poor capacity to get that toxicity out of the body. Biotherapeutic Drainage is a philosophy in modern natural medicine that encourages the proper detoxification of the body on a regular basis (as opposed to periods of fasting or cleansing to “detox”) by supporting the natural eliminatory mechanisms. Biotherapeutic drainage is accomplished at Real Health & Fitness using Gemmotherapy or Phyto-gens (embryonic plant tissue extracts), and the UNDA numbered compounds. The UNDA numbers were created over 50 years ago in France by a man named Georges Discri. They are made from plant and mineral substances and are homeopathically prepared. 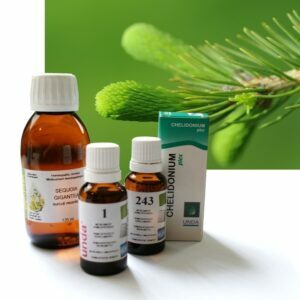 Homeopathic remedies are extremely safe and non-toxic but immensely potent medicines. They have profound implications for virtually all states of disease, or imbalance, in the body. The UNDA compounds are unique in that they combine diluted forms of plants and minerals, which give them a dual action. The plant part of the remedy has an affinity for certain organ systems in the body. The minerals in the compound have an affect on the way our cells carry out chemical reactions. Different metals enable the cells to carry out their functions. When used in homeopathic dilutions this is an energetic stimulus. The plants guide the remedy to the appropriate organ system, be it digestive, cardiovascular or respiratory and the minerals help change the way the cells are biochemically functioning. In this way, the body is able to detoxify more efficiently.